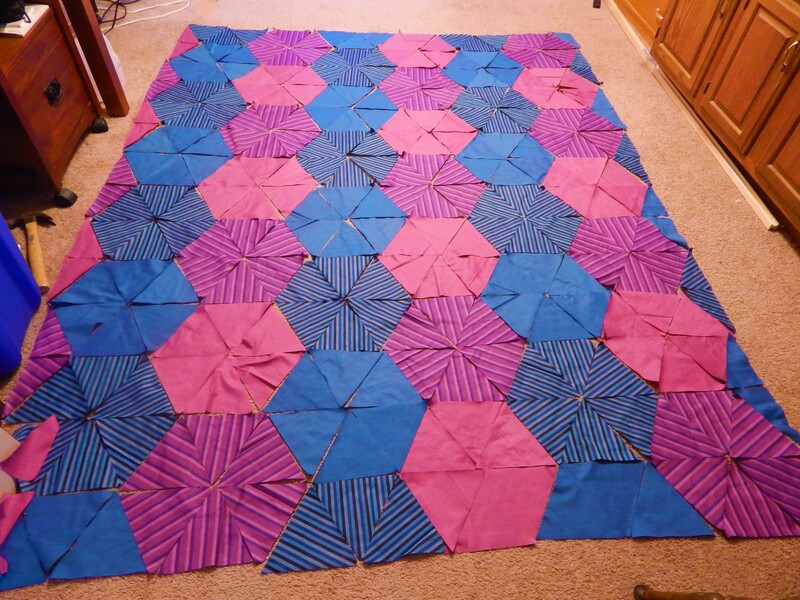 All the pieces are cut and arranged. It will have a border with the stripe I didn’t use. 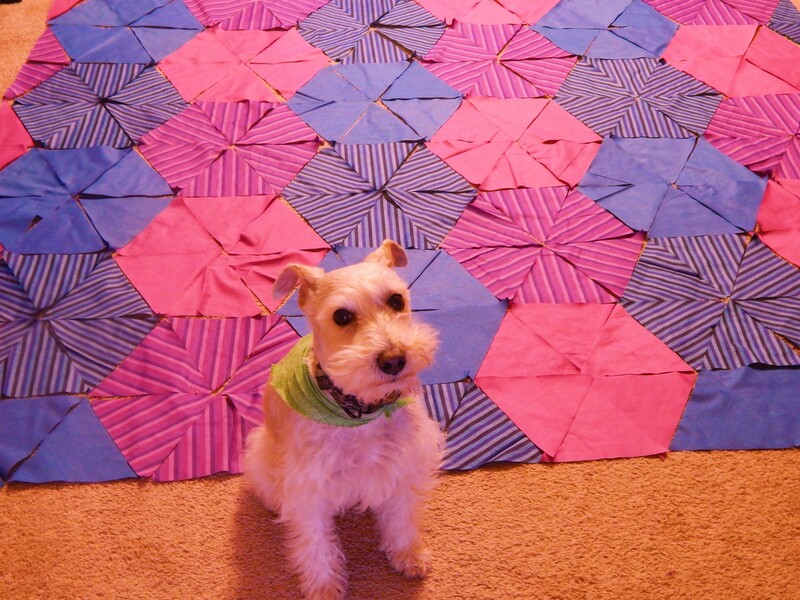 This entry was posted in Quilts and tagged peppered cotton, Quilting, Quilts. Nice! I love those shimmering fabrics! 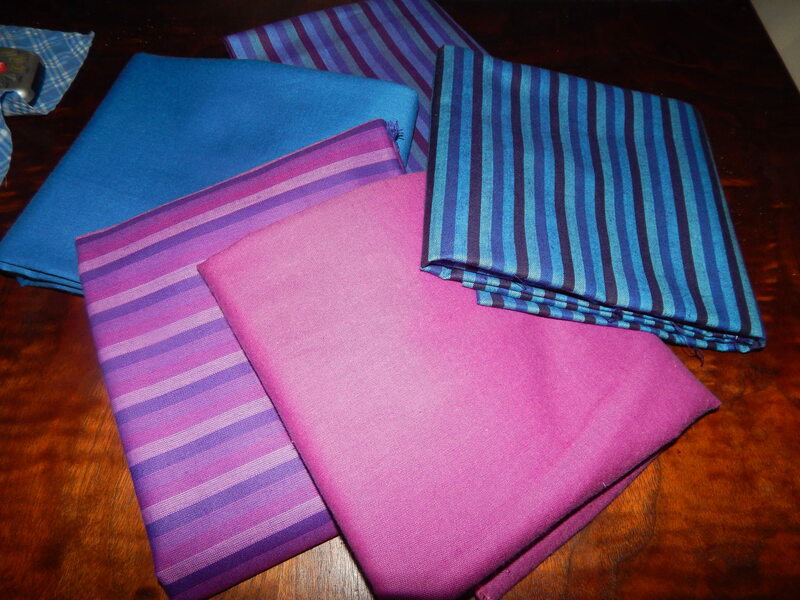 Those fabrics are beautiful and the way you have them cut & pieced they almost look pleated. Looking forward to seeing the top with the border. Thanks…..I love working with stripes! My God ! Do you ever sleep? You are so fast! These are such beautiful rich colors. You are amazing! you have done that beautiful quilt so quickly. I guess you don’t sleep!!! I love stripes too. Helps you sew straight too! This might be a dumb question, but I’m going to ask regardless: I’ve not worked much with stripes and 60 degree triangles. I like how they match in the middle and at the seams. Did you have to fussy cut your stripes? The lines have aligned with so much of precision! This is really beautiful. Can you please demonstrate the cutting process in detail, in your usual way of taking series of photos :). You are truly my motivation. Love the colors, love the design!!!! Yeah, I want to know also, do you ever sleep??? You bought this fabric yesterday? And you are already that far along?!! Wow! Great job! It looks awesome!!! I’ve not seen this fabric, this is very pretty! 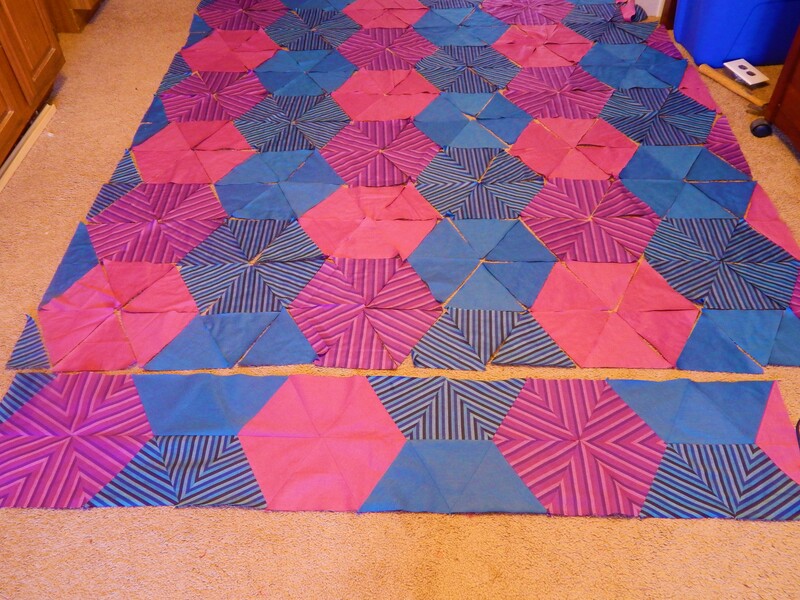 On a hand quilting note; my back is killing me and I wanted to know if you have any pointers. It’s in the mid to upper mid between shoulder blades or slightly below, from bending over I think. I was in car accident couple weeks ago and it’s worse than normal, may have to go to chiropractor. So, this is a “ask dr. Latimer” question. Ha. What a concept…using your fabric soon after purchase!! Pats for Teddy. The quilt looks great. Awesome design with the stripes and the restful blue solid fabric. 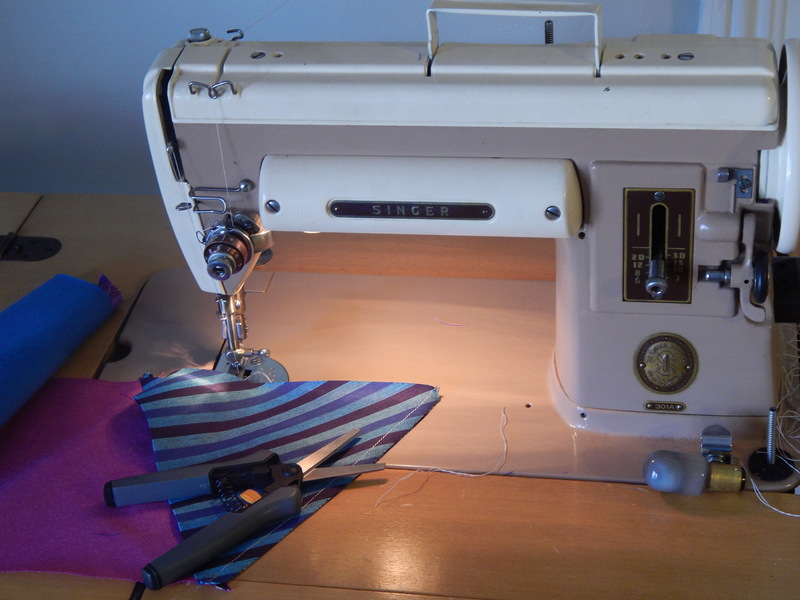 Recently, started using a Singer 301 (same color way as yours) for piecing and actually prefer it over the 221 Featherweight. Smooth, even, and fast stitches. Personally, I like the slanted shank which makes it easier to see the stitches being feed. Great use of those stripes!